Private Line Automatic Ringdown (PLAR) or Hot-dial is a configuration done in Cisco Unified Communication Manager which is intended to dial a destination number automatically as soon as an IP Phone goes off hook. Mostly IP Phone with PLAR feature is used in Elevators, Security Stations, Lobbies or Open Areas. For example – If some employees or visitors are in Elevators and they are stuck in middle of elevator, they may need to contact Security Help Desk to help them. So, IP Phones placed in the elevators are configured with Hot-Dial or PLAR. As soon as the employees or visitors lift the handset from IP Phone, the phone will immediately ring the destination number, in our case it is Security Help Desk team for help. Extension 10000 is used in Elevator and Extension 20000 is Security Help Desk Number. 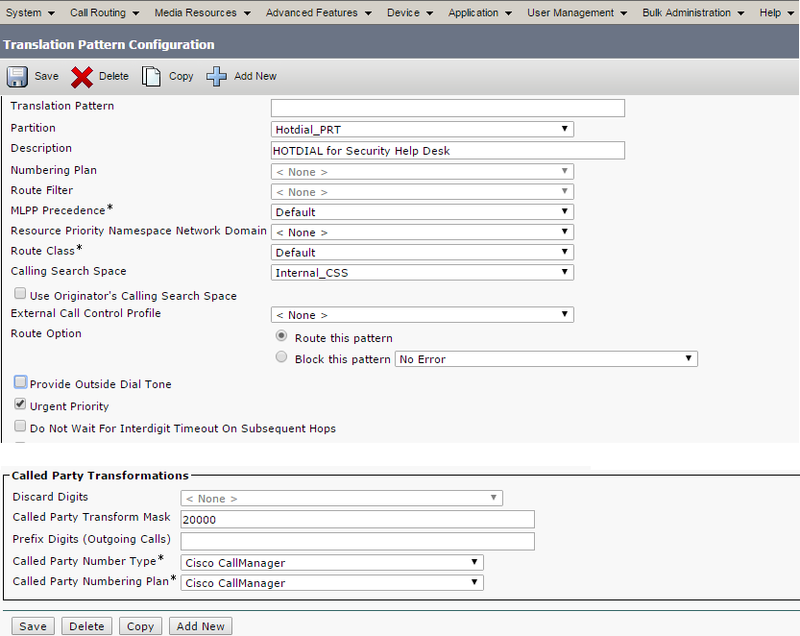 Login to Cisco Unified Communication Manager. Do rest of the configuration as normally you do for other IP Phones. Go to Elevator > Go off hook > Check if the call is connected to Security Help Desk Team. Does this work for CUCM 11.5? Yes, this should work for CUCM 11.5 as well. If the extension of the elevator phone is 20000, should the called party transform mask also be 20000? I thought that should be the number you are trying to dial (security desk number). Am I mistaken? Thanks for these instructions. Hi J, Thank you for the correction! That was a typo. Have corrected the number now.